Anybody Want A Bunch Of Digital Movies Free? Topic: Anybody Want A Bunch Of Digital Movies Free? 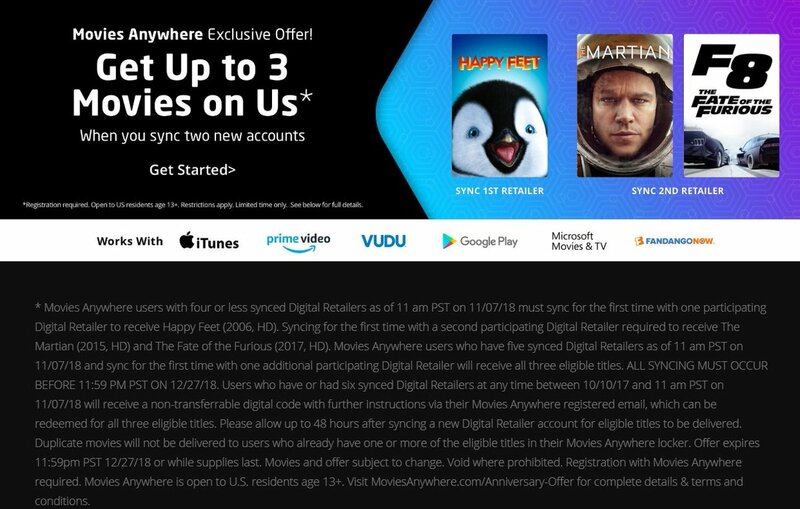 Re: Anybody Want A Bunch Of Digital Movies Free? I shall return soon to fill this thread...Its been a while but I shall makeup for my absence with glorious free movie codes. If you can't get the movie to show up in your MA account, just disconnect your MS Account, and then immediately reconnect the MS account to your MA account again. I have no more accounts to give Disney. please 2 new services we can add on the next giveaway. If you have a Sony Pictures account then check for an e-mail telling you that it's closing. Things should be fine if you have a movies anywhere and Vudu acocunt. But for consolation they give you a free movie. Not many choices, but it's free. I got Lockout. No recent movies or any update in this thread? What's a Sony Pictures account? Sony Pictures and Sony Interactive Entertainment operate separately. The PSN thing is probably some other type of weirdness. I have a PSN account and had a Sony Pictures account and they never seemed to be aware of each other. Up until recently all the Spider-man games came out on all consoles. One side of the company really didn't know what the other was doing.